Our coloured contacts multipacks are a perfect way to stock up on daily contact lenses. If you are a regular contact lens wearer, it’s all too easy to replace your regular day-to-day prescription contacts with something a little more colourful. Or, if you simply love the natural eye effect of our coloured contact lenses, then why not purchase a pack of single-use disposables - perfect for regular use! We think you’ll love some of our daily-use natural styles, but one day can sometimes not be enough! With a 10 pack to hand, you can enjoy all the perks of single-use contact lenses whilst being able to enjoy your new favourite eye colour for a whole lot longer. In each contact lens pack, you will find 10 individually sealed contact lenses. This means you have 5 pairs of dailies to enjoy as you please. If you have discovered a brand new natural eye colour that you love, then why not enjoy it every day? Our coloured contact lens packs mean you can enjoy a brand new colour for a whole lot longer. We reckon that contacts with designs are the best daily disposable contact lenses in terms of style and overall look. The printed finish on our natural collections of contact lenses replicates the look a natural iris by creating a variety of colourful designs. The number of ‘tones’ included in the styles determines how much colour is in the design, and how much of your natural eye colour it will cover. Take a look at the range of daily disposable contact lenses below that are now available as a 10 pack. Each style will give a realistic finish that will change your eye colour and help to unlock brand new beauty looks. From pure hazel to dreamy blue there are plenty of Chromaview and Freshlook colours that we’re sure you’ll enjoy putting to the test. Wondering which colours and styles may work for you? The end result of each lens may look different depending on your natural eye colour, but the variation will mean your style remains unique and standout. 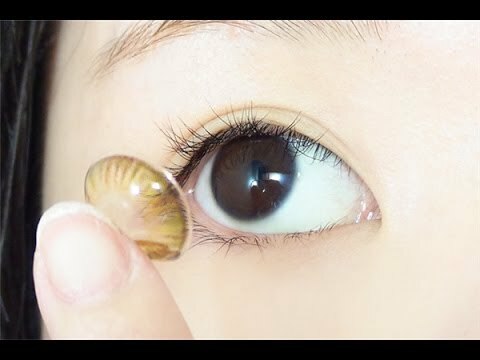 If you have darker brown eyes, we have plenty of For Dark Eyes blog posts available to help you choose the best natural effect contact lenses for you. Above all, by buying your daily contact lenses in bulk you can save a little more on each purchase. We make it easy for you and your wallet by giving you simple to use contact lenses in packs you can keep going back to. Our range of Freshlook coloured contact lenses are ideal for those who wear daily prescription contact lenses. These high-quality colour contacts are available in a variety of corrective strengths which allow a huge range of customers to enjoy a brand new natural eye colour. Freshlook lenses boast a huge range of impressive qualities designed to make the lenses look and feel fantastic. Here are some of the key features that you will find in each and every Freshlook contact lens. LightStream Technology – the thin edges of the lens makes them easier to insert and makes them more breathable during wear. Focus Dailies Technology – ensuring the contact lens keeps your eyes hydrated and feeling fresh during wear. 3-in-1 Colorblends Technology – the colouration used in the coloured contact lenses are designed for more coverage and are even suited for dark brown eyes. For more, make sure to check out our full Freshlook blog post and head straight to the Freshlook Colorblends section to pick out your style and exact prescription. Daily coloured contact lenses, also known as single-use, disposable and everyday contact lenses, are designed for one use only. When it comes to these 1-day contact lenses, it is recommended that you only wear them for up to 8 hours at a time. 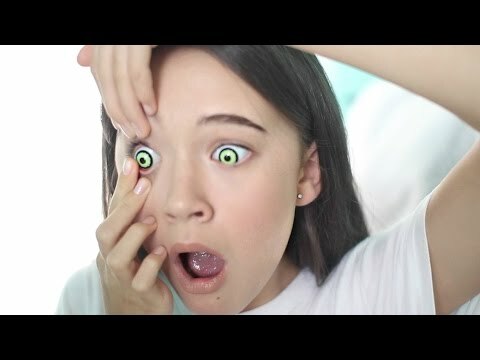 You should avoid sleeping with the lenses on and remember that the contacts are for one day only. When you open your 10 pack coloured contact lenses you will find 10 individually sealed blister packs. Before opening the lenses, we recommend checking the information listed on the package. If the lenses are prescription, you should ensure that they are correct and look as expected before opening them up. 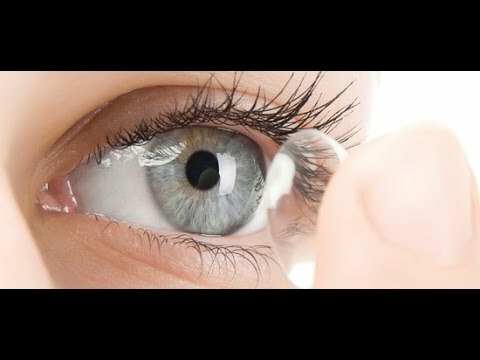 Once opened, you should still prepare the contact lenses with solution before attempting to insert them into your eye. One of the many benefits of daily contact lenses is the lower maintenance as they can be less time-consuming than longer duration counterparts. After use, you can simply remove and dispose of the contact lenses without the need to return them to the solution for cleaning. For more on guides and contact lens use, we recommend checking out our safety guide and contact lens tutorial blog posts.